The Sixers look to finally conquer the dreaded SEGABABA. After blowing double-digit lead in the fourth quarter, the Sixers needed overtime to topple Charlotte Friday night at the Center. A win’s a win, but I’m sure Brett Brown would have preferred a less strenuous finish, as the team had to fly to Memphis for tonight’s game against the Grizzlies. Already this season, we’ve seen how the second night of a back-to-back can tilt the scales. The losses in Milwaukee, Toronto, and Brooklyn were some of Philadelphia’s worst performances of the season. In particular, the game against the Nets was a clunker, with Joel Embiid and Ben Simmons both saying afterwards that the team played soft. Memphis will have the freshest of legs tonight, having been off since a win Wednesday night at home against the Nuggets. 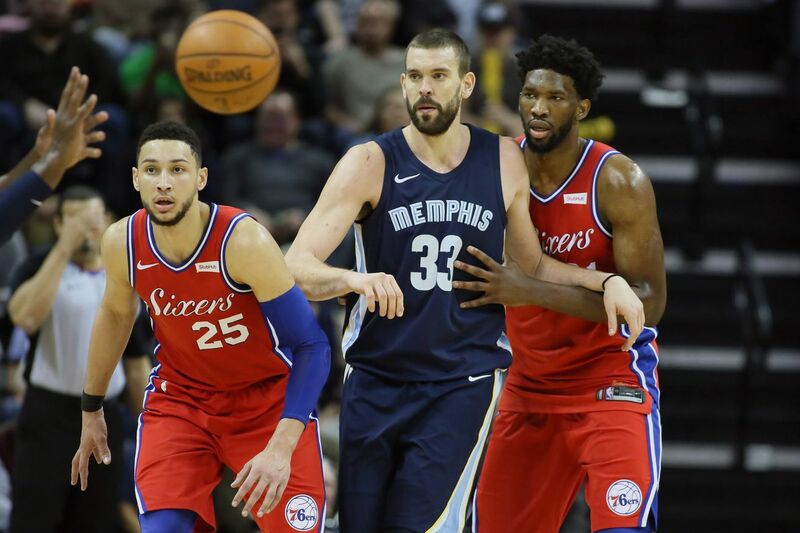 Fresh off his second 40-point effort of the season, the Sixers will need another hard effort from Embiid, facing a Grizzlies team that looms larger than most with grizzled (*wink*) vet Marc Gasol and dynamic rookie big man Jaren Jackson Jr. Gasol is shooting 44.1% from three on the season on 3.4 attempts per game. Knowing Embiid’s difficulties guarding big men who stretch the floor, it will be interesting to see if Brett Brown looks to cross-match defensively and stick Dario Saric on Gasol. Embiid seems to relish opportunities to show up young big men, so a potential matchup with JJJ could be fun. After missing most of last season with an Achilles injury and surgery to repair a bone intrusion in his heel, veteran point guard Mike Conley is back and leading the team in scoring (16.7 ppg), and assists (6.0 apg). The ambidextrous Conley has always been one of my favorite players to watch, relying on savvy changes of direction and shiftiness rather than pure speed to get wherever he wants on the court (which isn’t to see he’s not fast, his father was an Olympic gold medalist in track and field, after all). Seeing the much larger Simmons on him could be a fascinating matchup, particularly in light of the fact that Ben is also a guy who does a lot of things out on the court with both hands. Embiid was asked after the game if he’s playing too many minutes: "We waited 2 1/2 years for this. I’m excited. I love it. If these guys ever tell me to take a game off I might kill them."